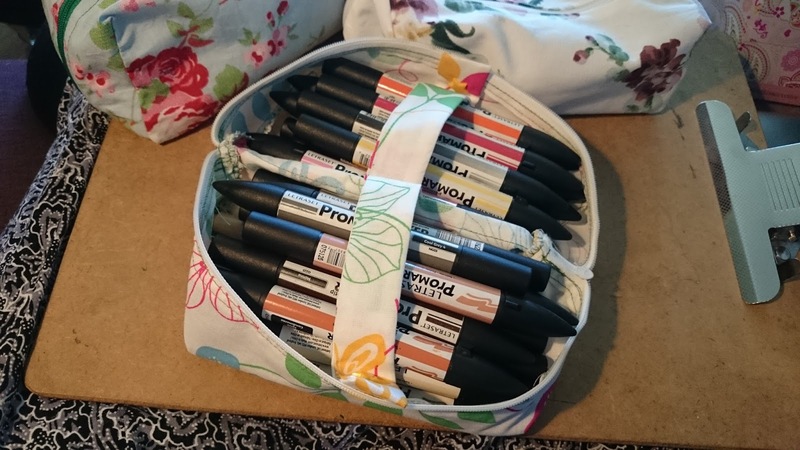 Random: Simple tutorial: Pen bag that folds out into two trays. Simple tutorial: Pen bag that folds out into two trays. 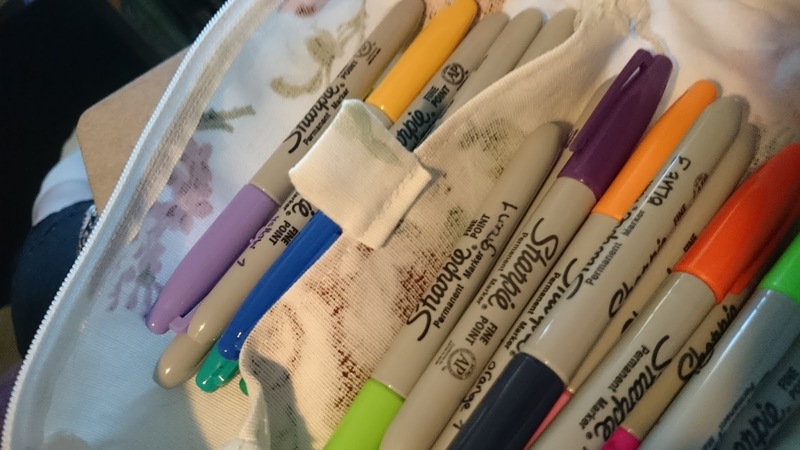 I kept pouring out all my markers digging for the colour I wanted, so I decided to make a pen case that would turn into a tray, giving me a good overview while still keeping them contained. 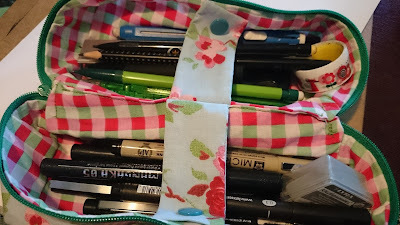 It's been suggested that this could also be a good basis for a wash bag/make-up bag. I haven't tried that yet. If I was to do that I would line it in a waterproof fabric (buying a shower curtain on sale, or stripping an umbrella that broke in the wind, are quick ways to get this type of fabric, by the way). I offered to make a tutorial "if anyone wanted" on the forums and yep, somebody wanted :) So here we go. First you need to construct your pattern. 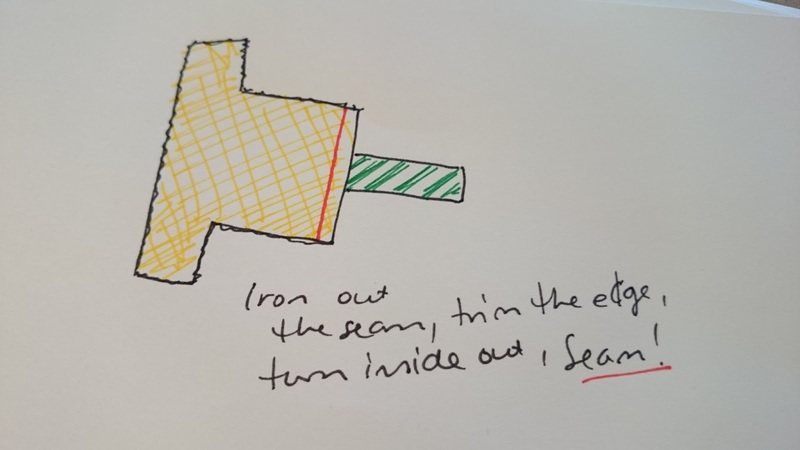 It's a very simple square pattern, so getting the middle pages from an a4 exercise book will make this easier. Decide the size of the trays. How deep should they be? How wide? how long? Mine are 4cm deep, 8cm wide and 18cm long. For length, check length of the items you intend to put in the bag. I've made fairly shallow trays because I want fewer things and more overview. On some of the bags I have made straps to contain the things on the sides, enabling me to sort - the markers I sort according to colour (neutrals or vibrants), for instance. The strap should be about the length of the width of the tray + a little for the button, experiment until you find your ideal length. 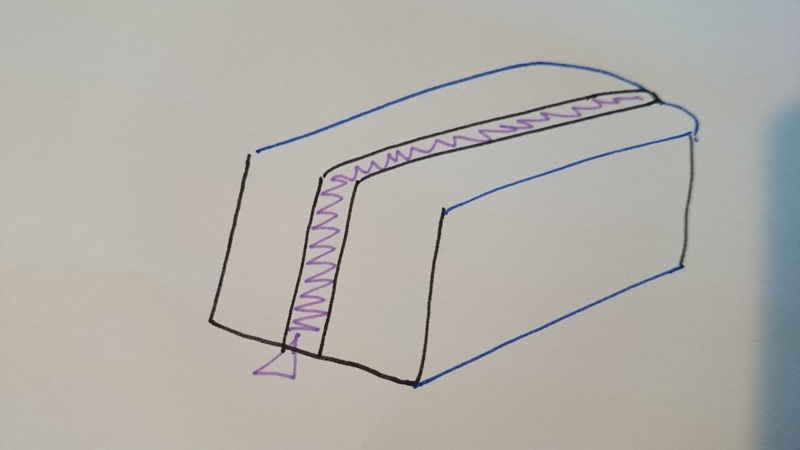 It should be about an inch wide, although I guess you can try with narrower or wider if you want. If you do not add straps that button up I suggest making a small tab anyway to grip and tug the trays into shape (see one of the bags above). 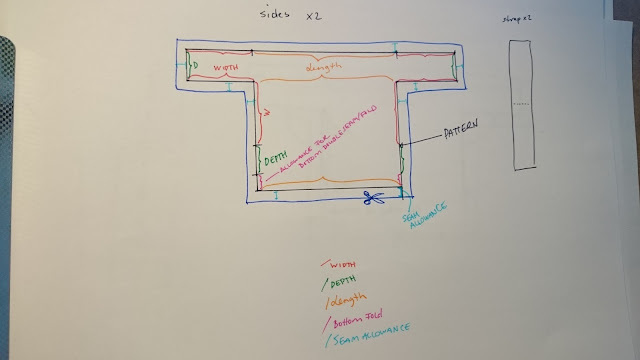 This is a sketch of how to draw out your pattern. 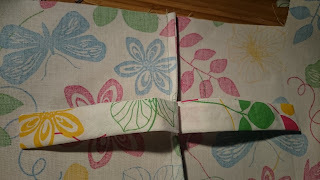 Add ample seam allowance since you will have raw edges inside that you will want to trim so they are neat. If you right click and choose open in new tab on the photo (chrome and firefox) you'll get the largest version of the photo. It is colour coded to give you an idea of construction. I'd like to call attention to the pink section - extra allowance in the bottom for the bottom fold + meeting the zipper. I used about 1/2 inch on each side. Iron everything after you cut it out. You remembered seam allowance, right? Good. 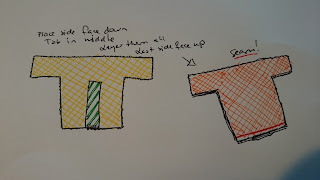 A note about the couple of sketches that follow, the rough edges are marked out, straight lines are folded/sewn. Seams are red, and I have marked right/wrong side of the fabric with stronger and fainter colour. Are we good? 1) Start with the straps/tabs. 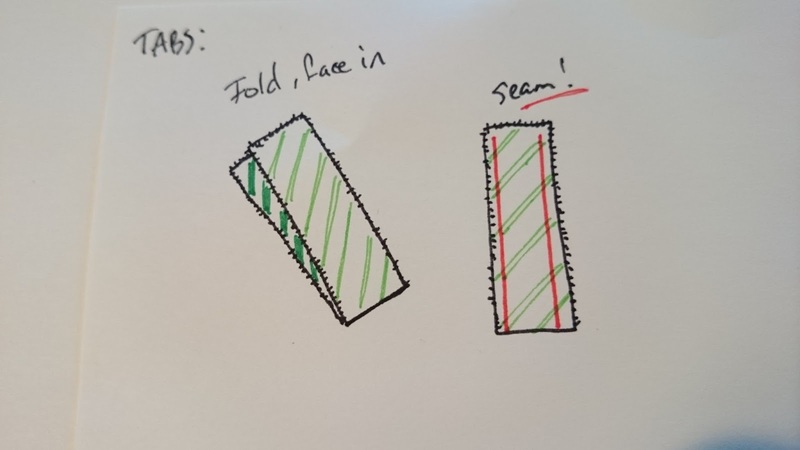 Fold them in two, face in. 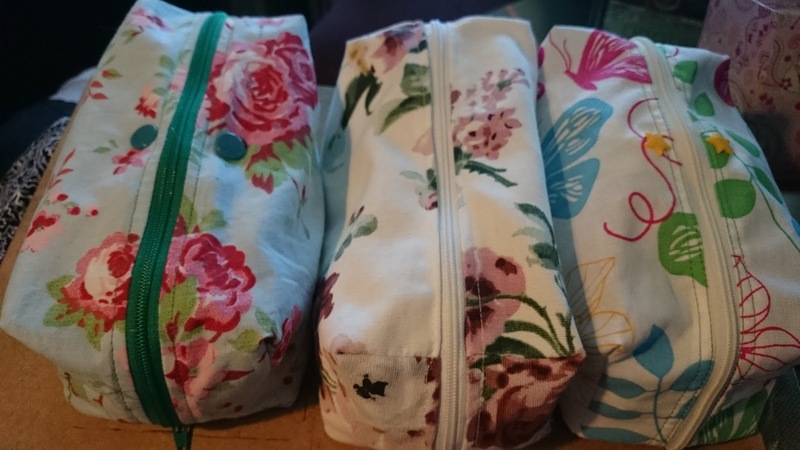 Sew lengthwise along both sides, turn inside out (use a crochet hook or similar to poke the corners out), iron. Place one side face down on the table. Place a tab in the middle of the bottom. Place the other tab (if you have two) on top of the first, then place the last side face up on top. Pin the sandwich well. Sew along the bottom edge. 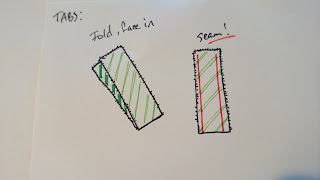 Trim the fabric close to the seam. 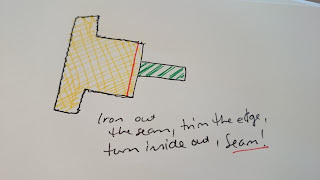 Flatten and iron, then turn inside out, iron the edge. Sew along the bottom, careful to catch the edge of the fabric inside the tube you are basically making. This edge will help the bag fold into trays. On the first bag I worked with one piece of fabric that I simply folded and seamed on the middle bottom to get the same effect, stitching a tab onto the edge I had, but I think this one is neater. Repeat on the other side. When topstitching the second side, open the zipper, it will be easier that way. 4) The ends of the bag. 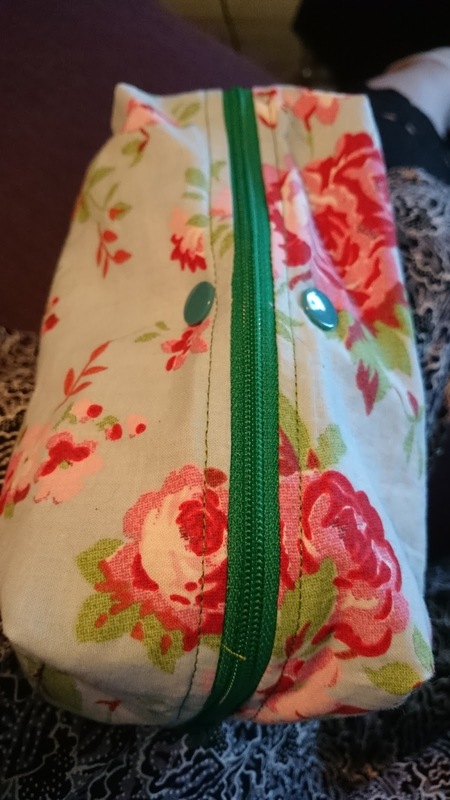 Align the end of the zipper with the end of the bottom seam (face inwards), and pin the bottom edge, leaving the corners open. Sew the edge, careful to not sew into the seaming allowance at the ends of the flap that has the zipper. Keep the zipper halfway open when you do these steps. Align the corners and close them. Trim the fabric edges that are left raw (in the ends of the bag) with a zigzag scissor or trim them straight and overlock them according to your preference. Attach snaps, buttons or other closing mechanism to the tabs if you have them long enough to close.